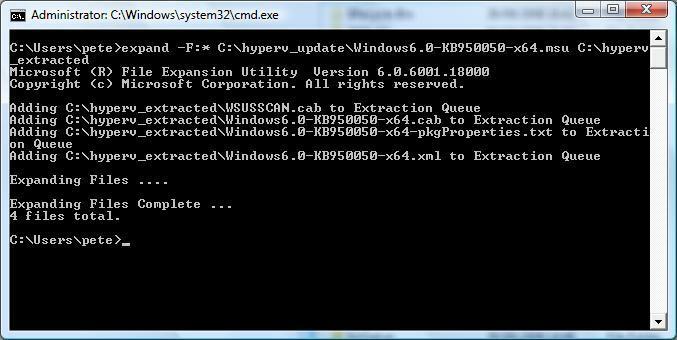 Anyone who has tried the version of Hyper-V that came in the first release of Server2008 may well have written it off as a bad lot, In Microsoft’s defence it was still a Beta product in that initial release, but for many the damage has now already been done. (It seems the mistakes made by releasing “Longhorn Beta 1.00001 to the public have still not been learned). So If the initial release is the one you have, either in your DVD’s, Technet/MSDN folders or downloads then they are buggy and problematic. You can patch the server when its built, but I Intend to a do a lot of work with the product so I want the DVD/ISO fixed before I start. 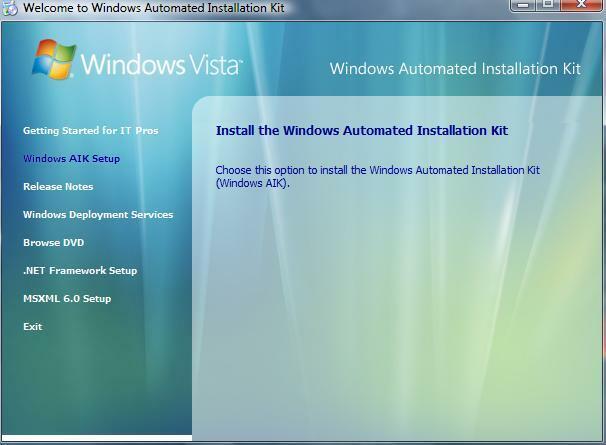 Yeah I could use nLiteto include the update but, I’ll stick with the Windows Automated Install Kit. Before you start you need……. 5. 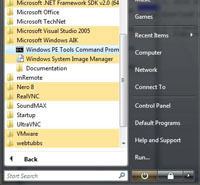 Some DVD Burning software. 1. 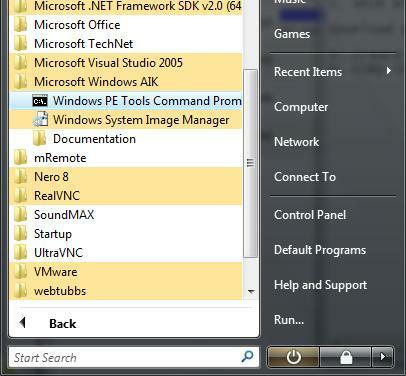 Install the WAIK, select “Windows AIK Setup” > Next > I Agree > Next > Next > WAIK will install > Close. Then close down the window. 2. 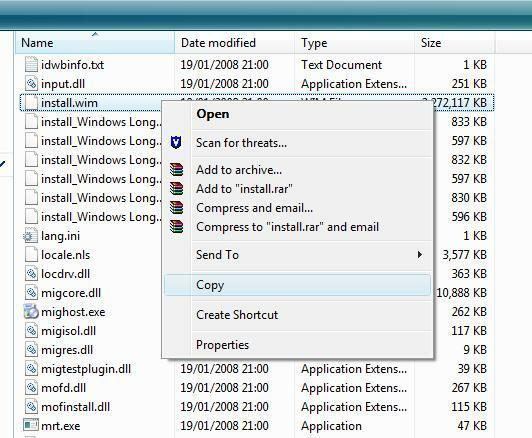 Copy the contents of the Server 2008 DVD to a folder on your C: Drive called C:2008×64, Create another folder called C:WIM, then locate the install.wim file and copy it from C:2008x64sources to C:WIM. 4. This is what you should see (4 files extracted). 6. We now need to create yet another folder on the C: Drive to work in, we will call it C:MOUNT. 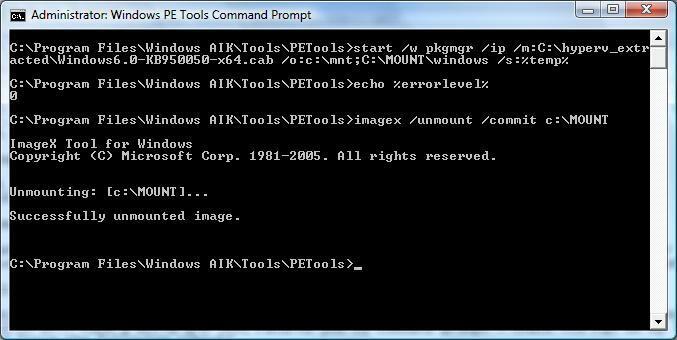 Then issue the following command. 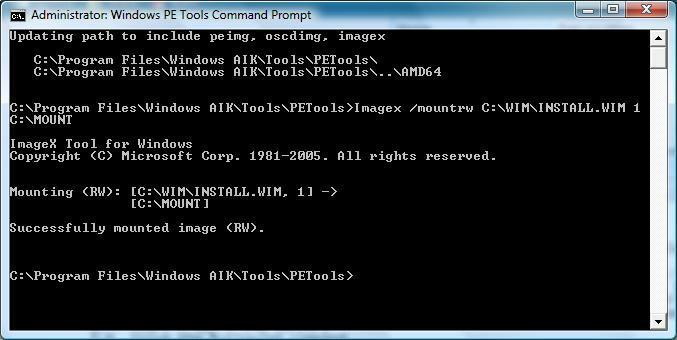 Note: There are FIVE install images inside the install.wim file you have to do each one at a time, In step 5 above you see there is a number 1, this command updates image number 1, you will need to repeat this process for images 2 to 5. This will take a while and when finished gives no clue how it got on, Issue an “echo %errorlevel%” command, and it should return a Zero to let you know it ran OK.
9. 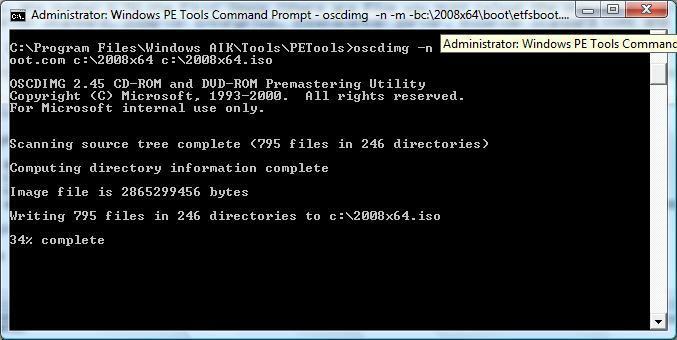 You will now have an updated install.wim file (In C:WIM) copy that back to the C:2008x64sources folder (Overwrite the original when prompted). 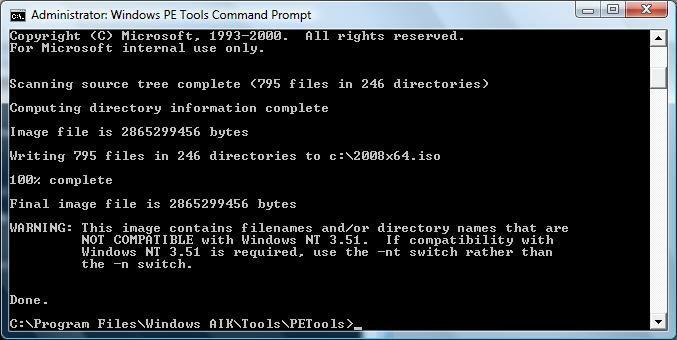 Note: DO NOT use copy and paste, type the command in manually – there is a bug in some versions of oscdimg that will only work if you manually type in the command. It gives you Error number 3 if you try and use copy /paste. 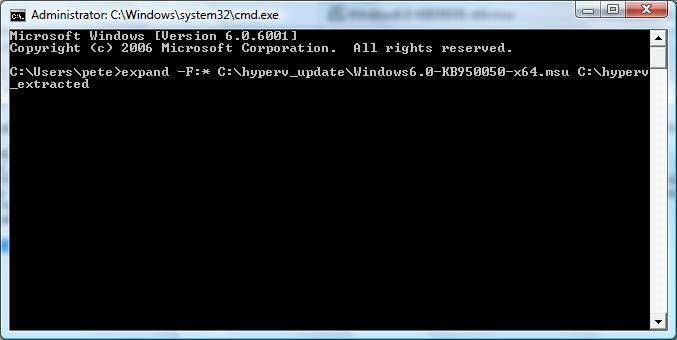 You can now install Server 2008 with the Hyper-V role, In Part 2 I’ll run that up and take a look a the remote Hyper-V Management tools for Vista.